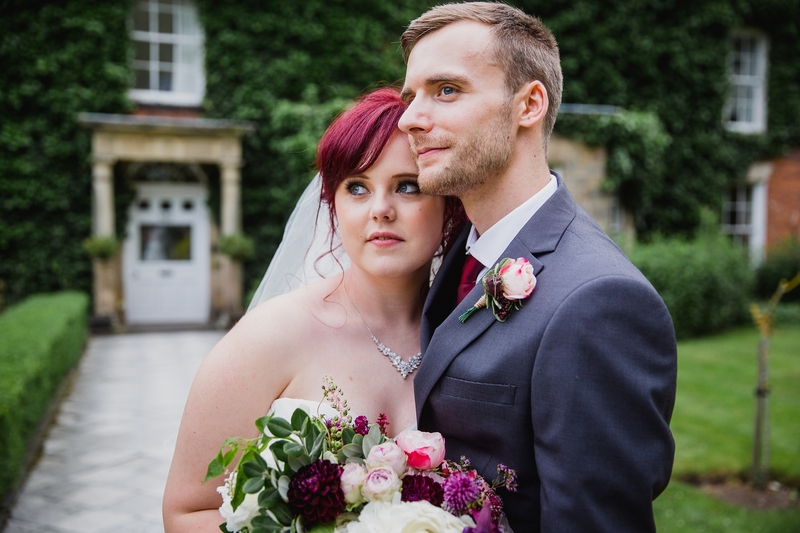 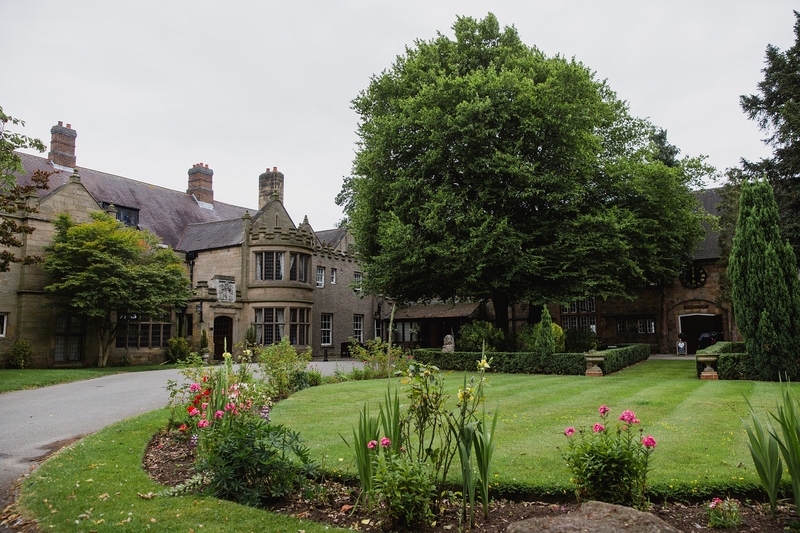 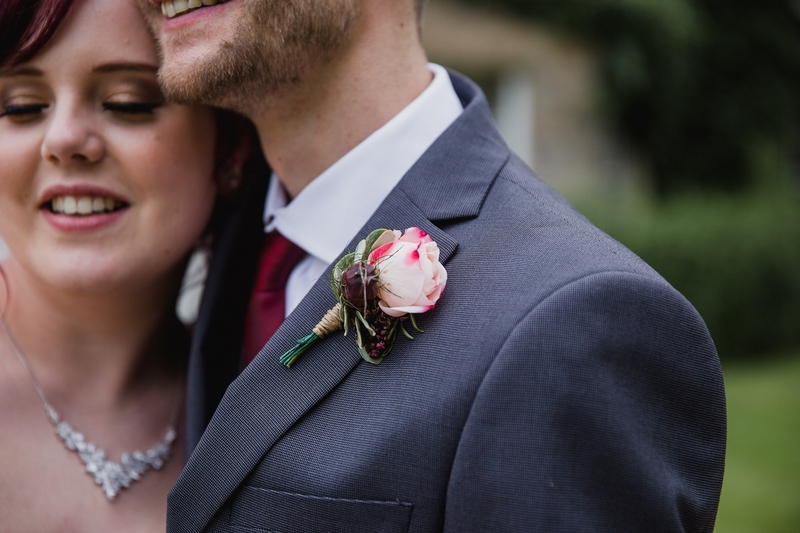 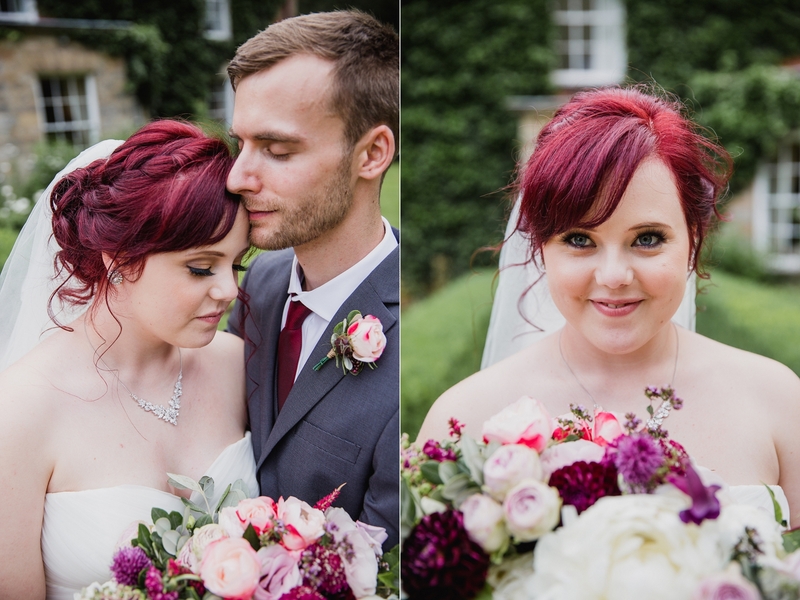 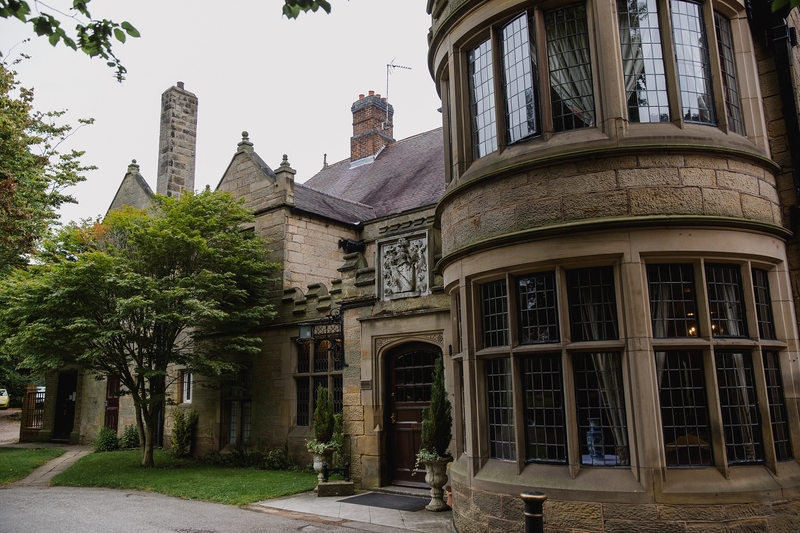 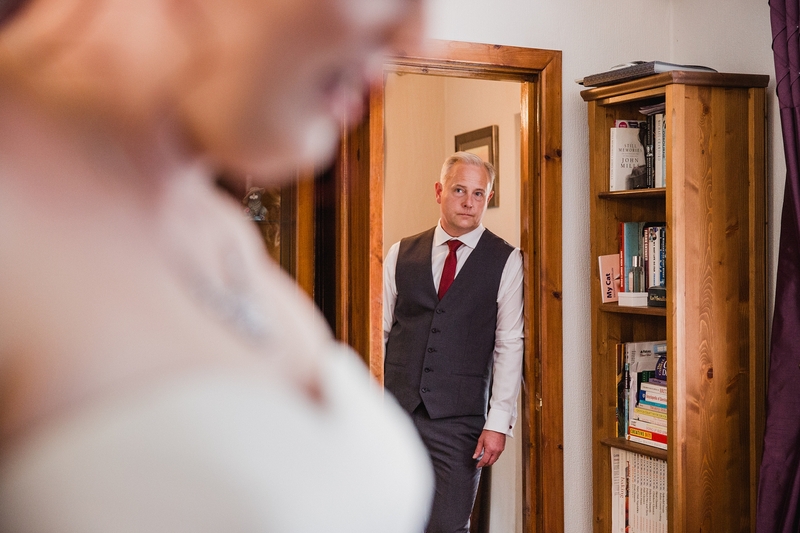 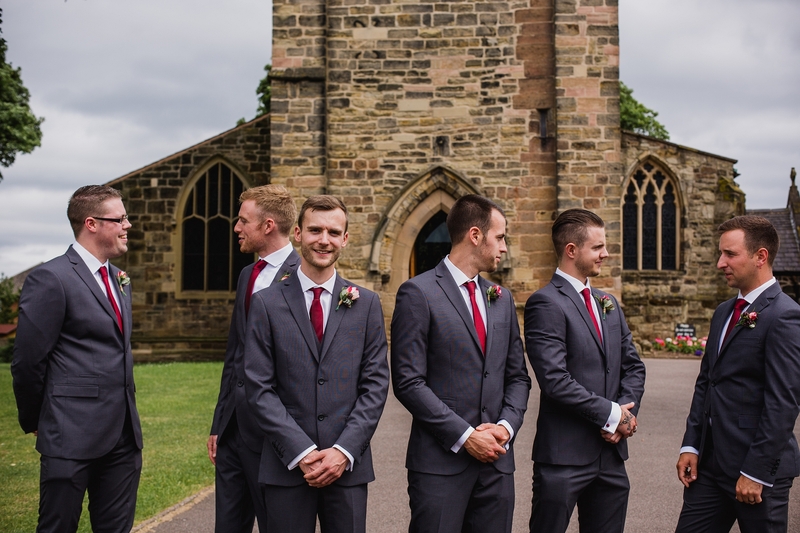 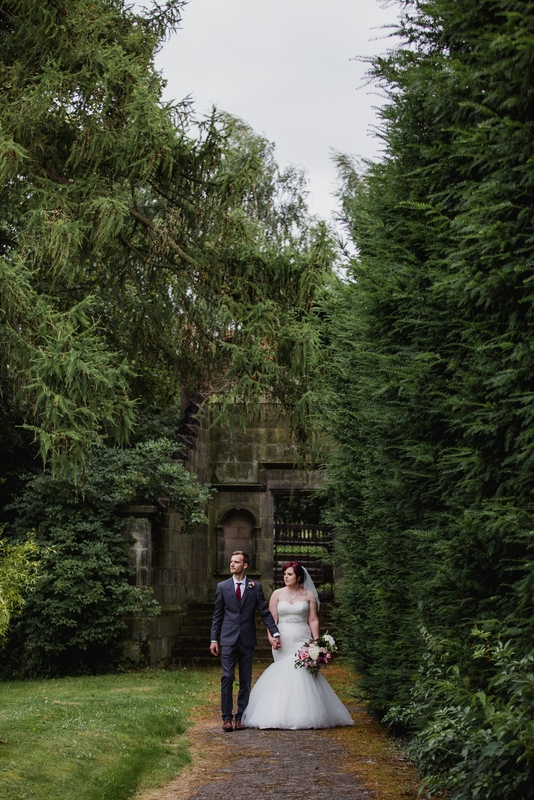 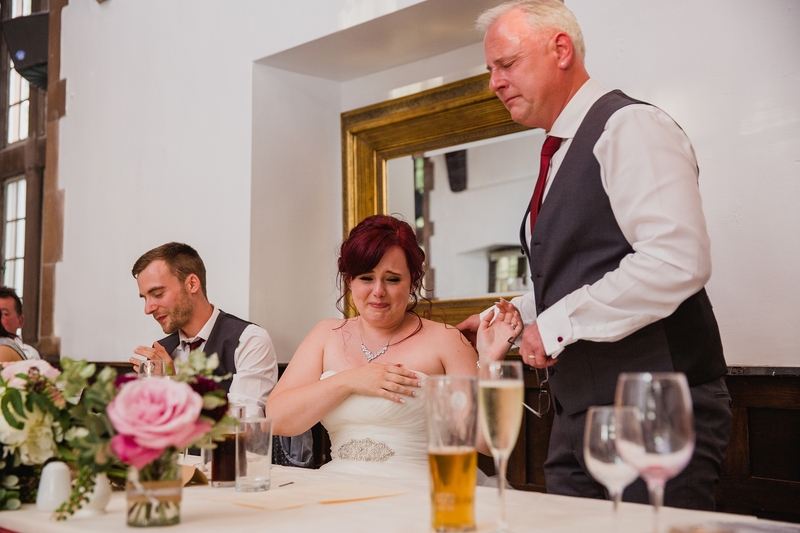 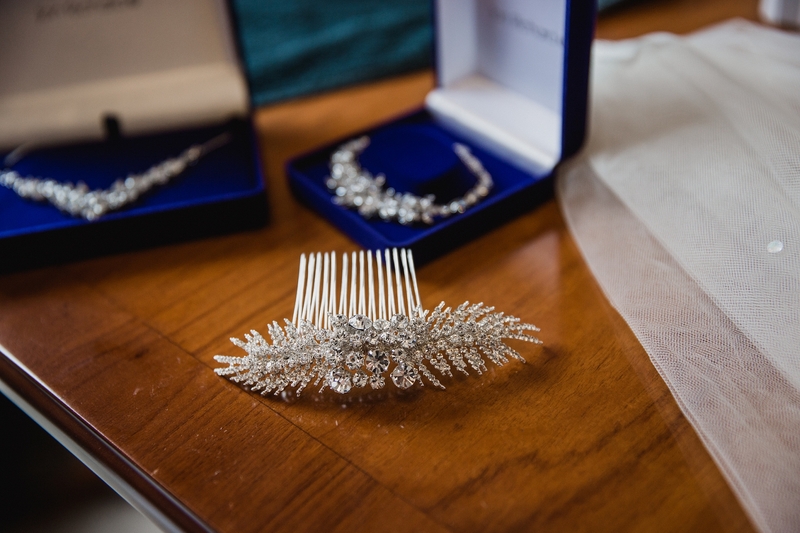 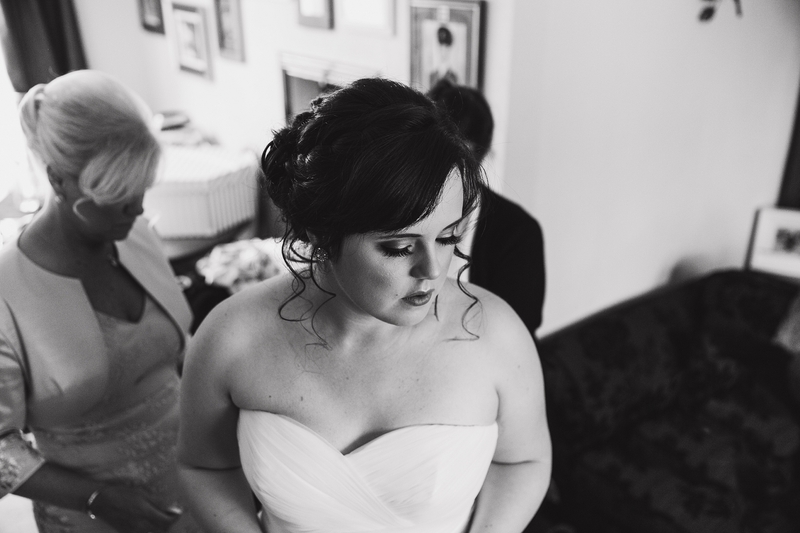 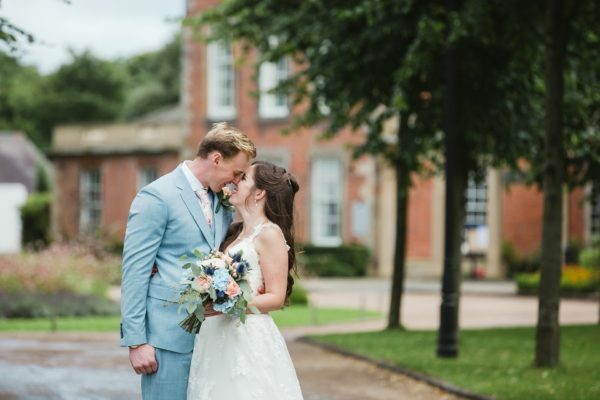 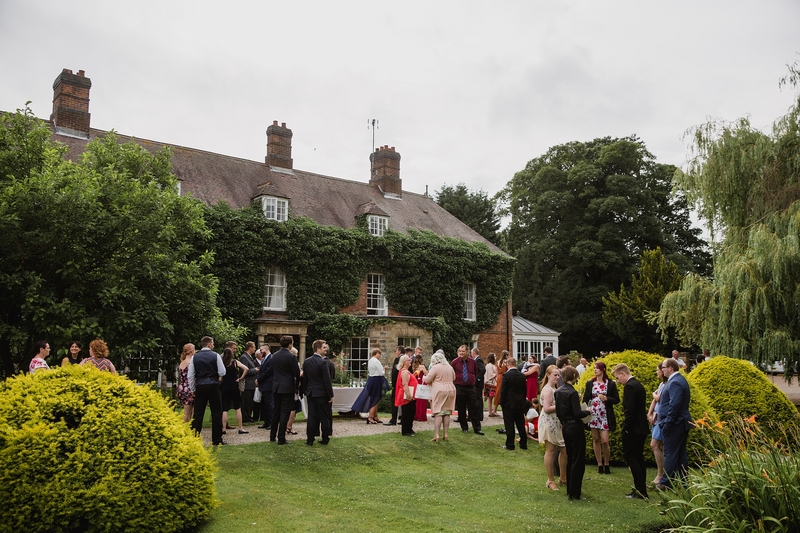 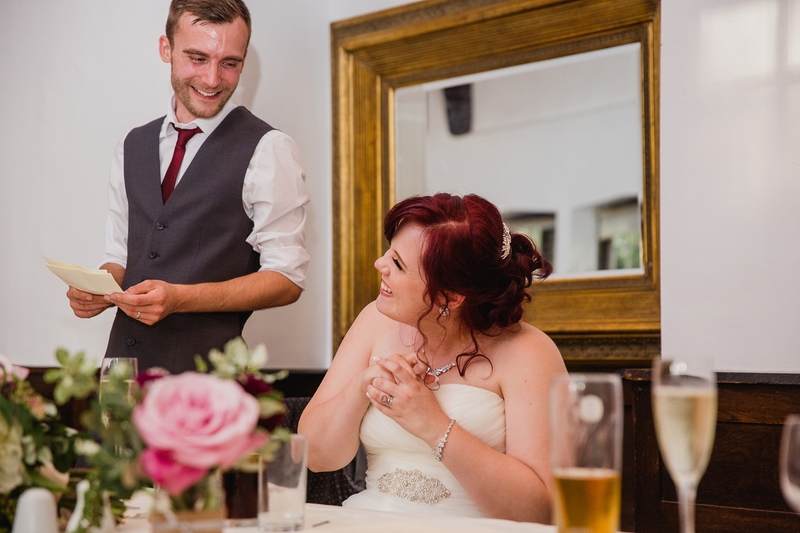 I’m delighted to share this beautiful manor house wedding in Nottingham with you today. 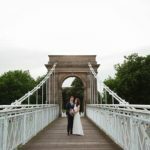 I had been excited to shoot this lovely wedding ever since I met with Heather & Ashley for their engagement session at Wollaton Park. 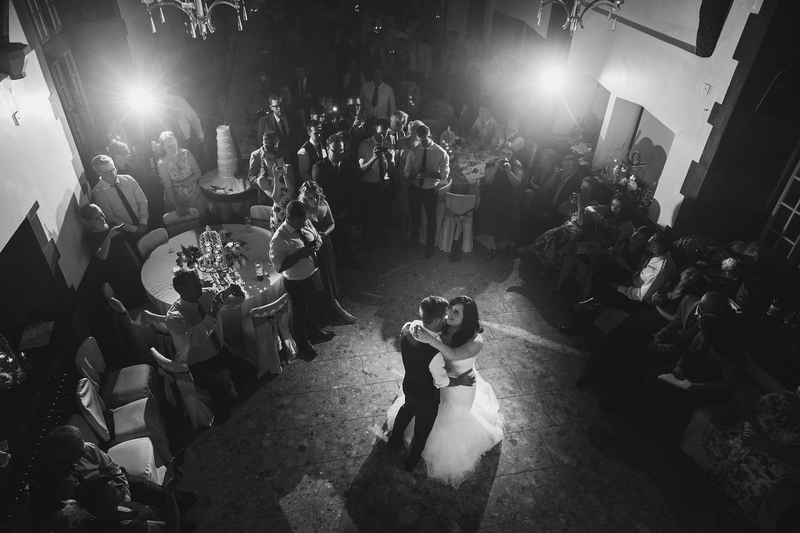 They are the sweetest pair, and the love they have for each other just shines out of them. 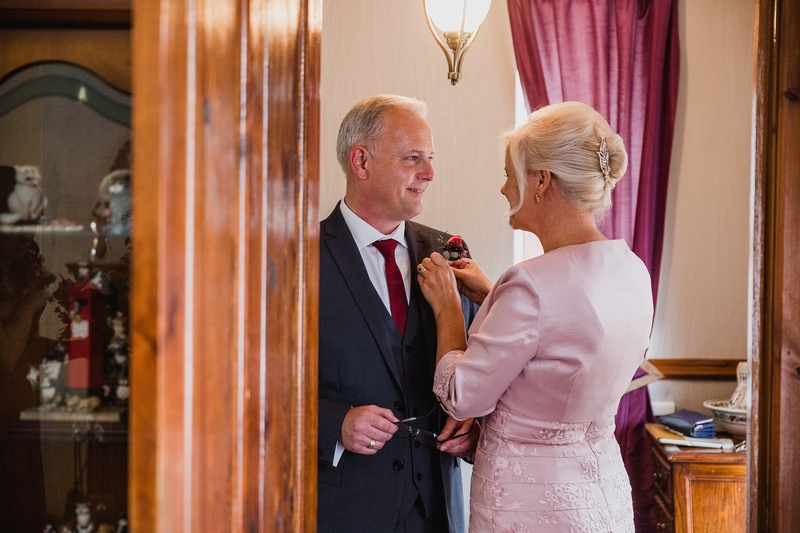 I started the day with Heather at her family home in Nottingham, and as soon as I walked into through the front door I was welcomed like an old friend by Heather and her lovely Mum & Dad. 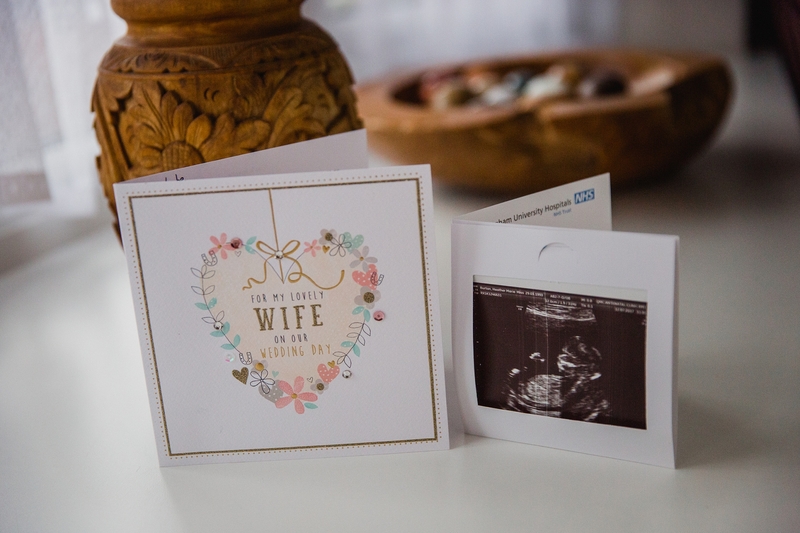 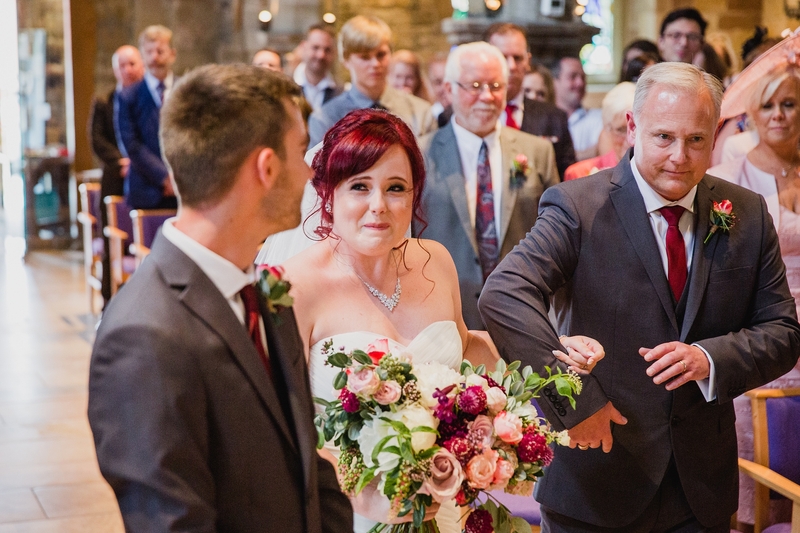 The love in that family was inspiring and its moments like this that remind me how lucky I am to do this job, to capture the important family moments that mean so much to the couple and those around them. 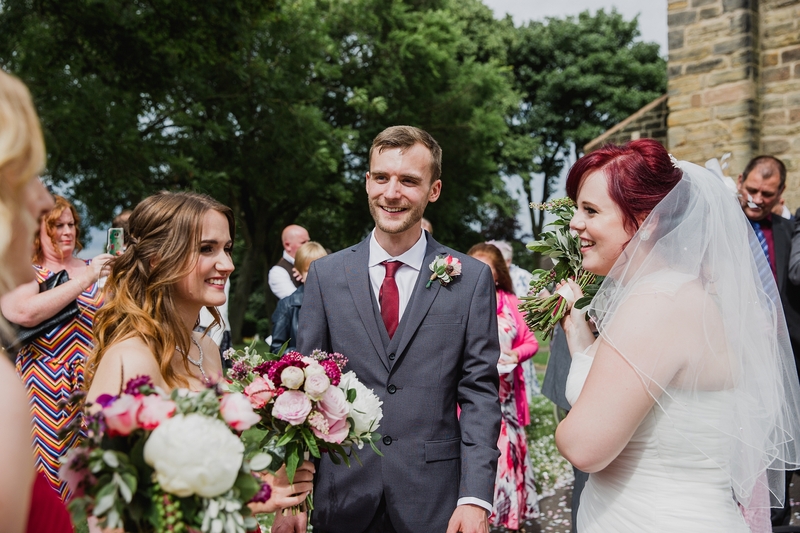 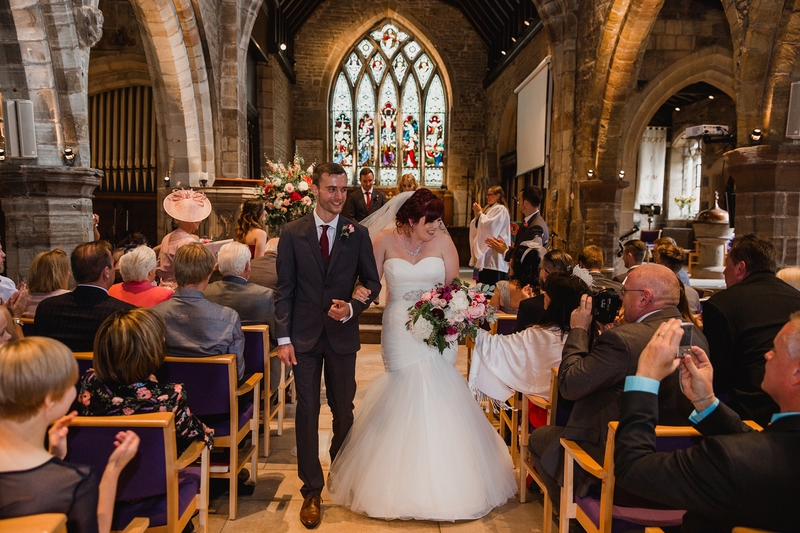 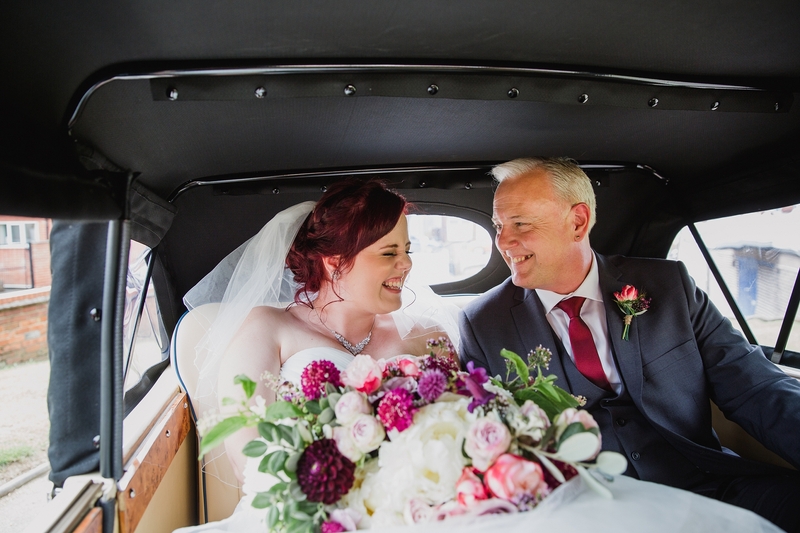 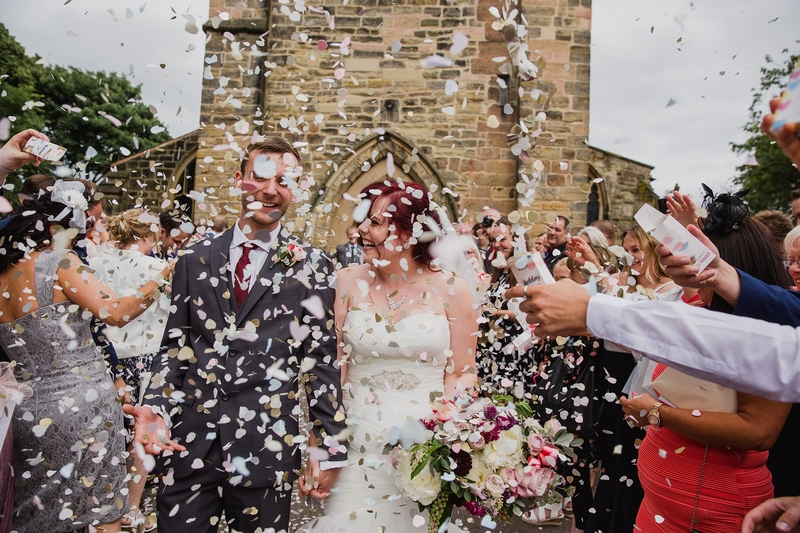 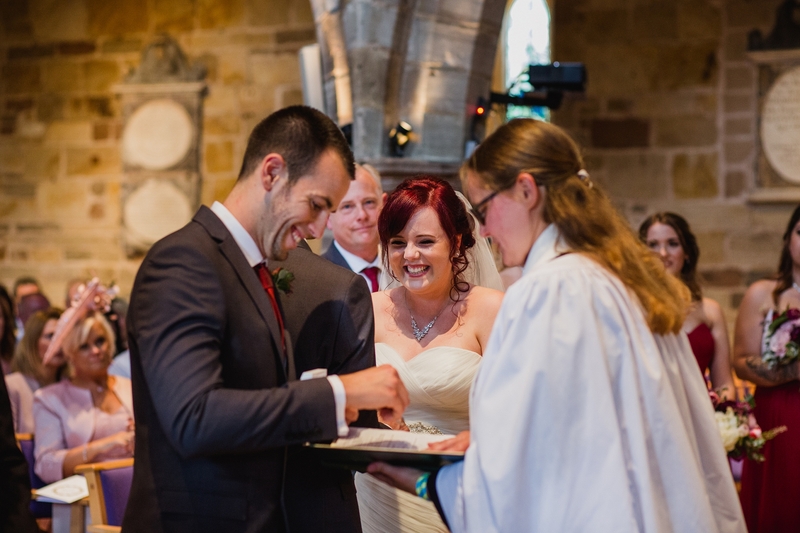 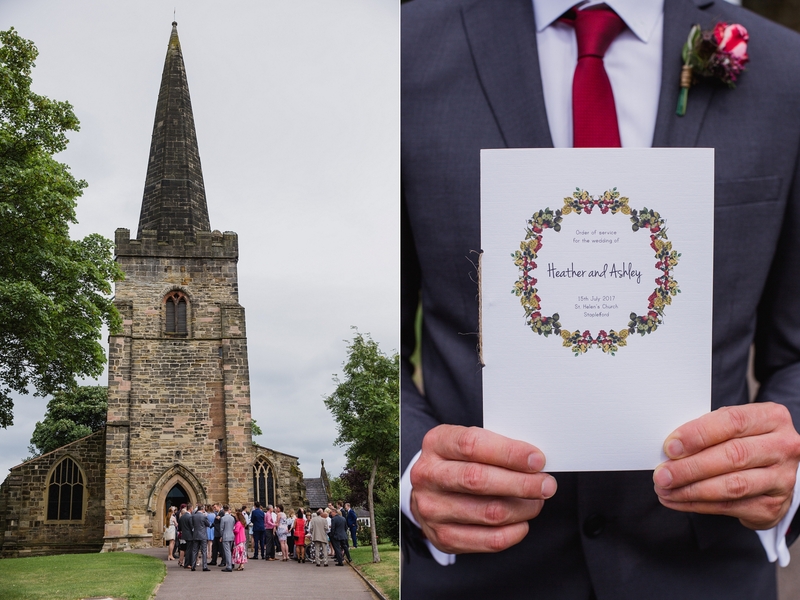 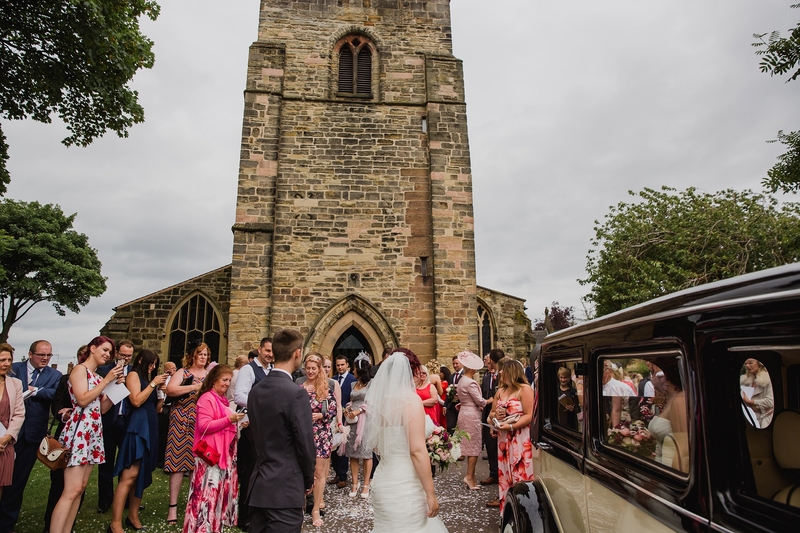 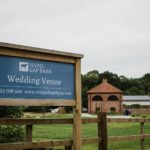 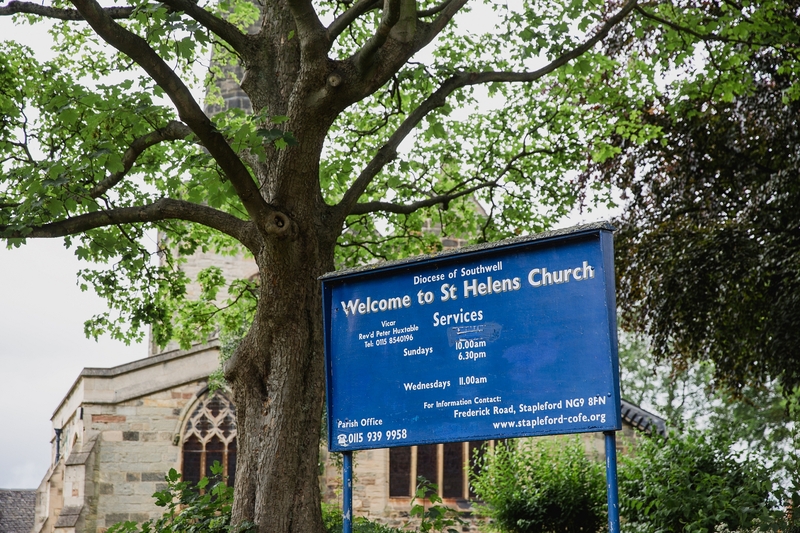 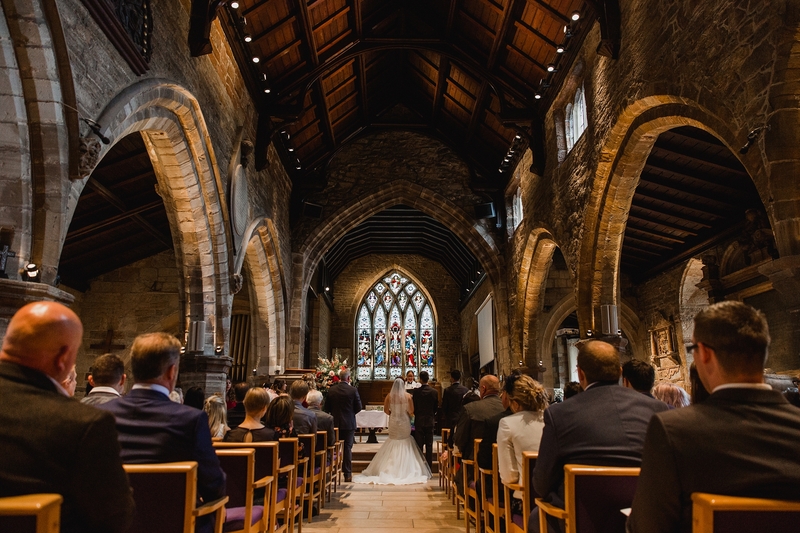 Heather & Ashley got married in their local church which always adds an extra personal element to the ceremony, before being collected by vintage cars to take them to their venue on the outskirts of Nottingham. 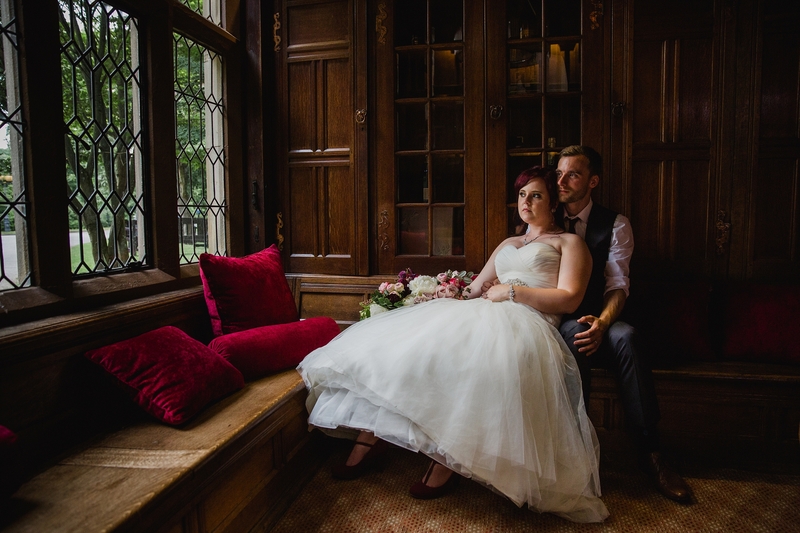 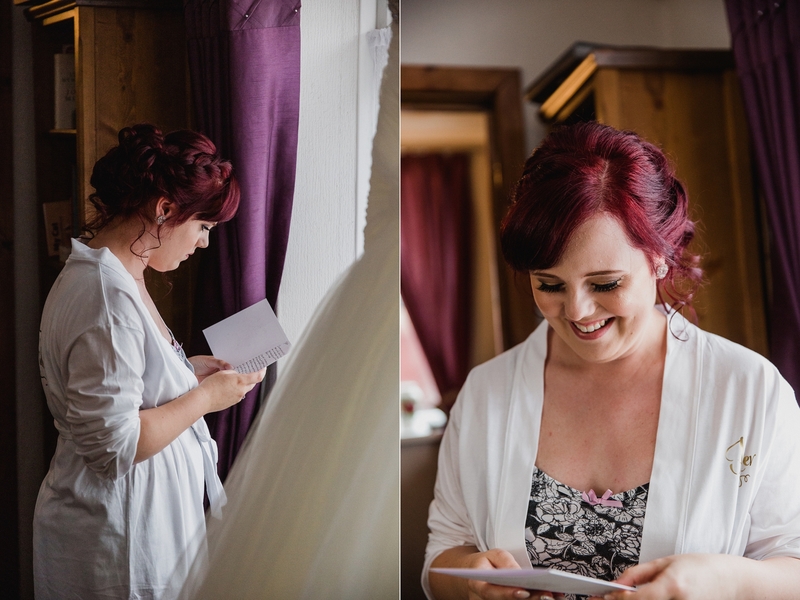 The venue itself was an old manor house hotel and had some lovely little nooks for photographs. 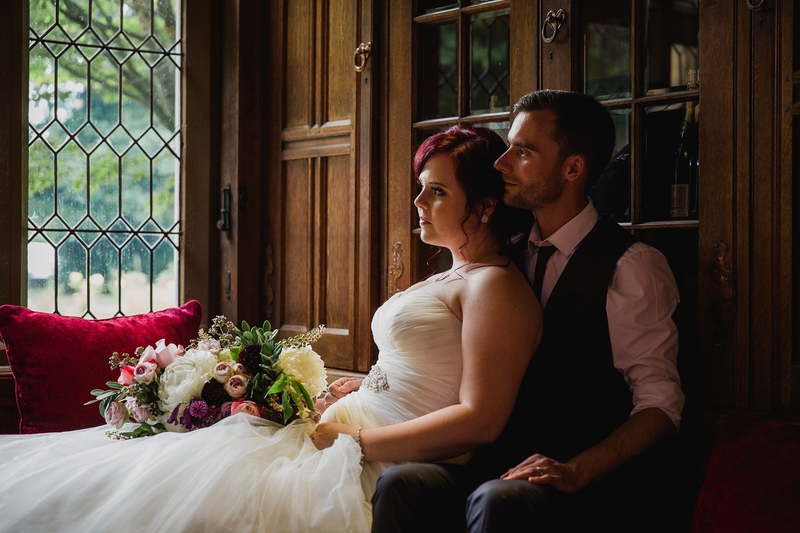 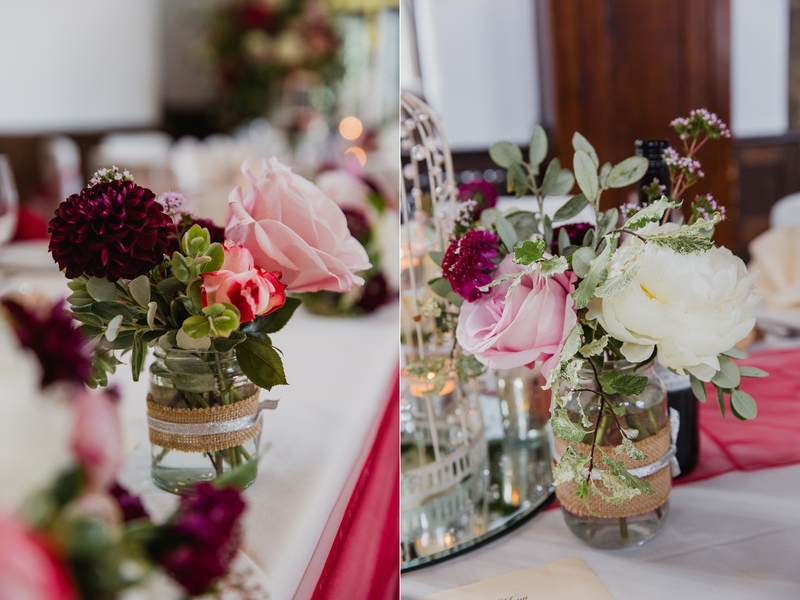 I was delighted to find some beautiful corners of the property with some stunning original stained glass windows and dark wood panelling that perfectly complimented the deep red tones of Heather’s flowers and hair. 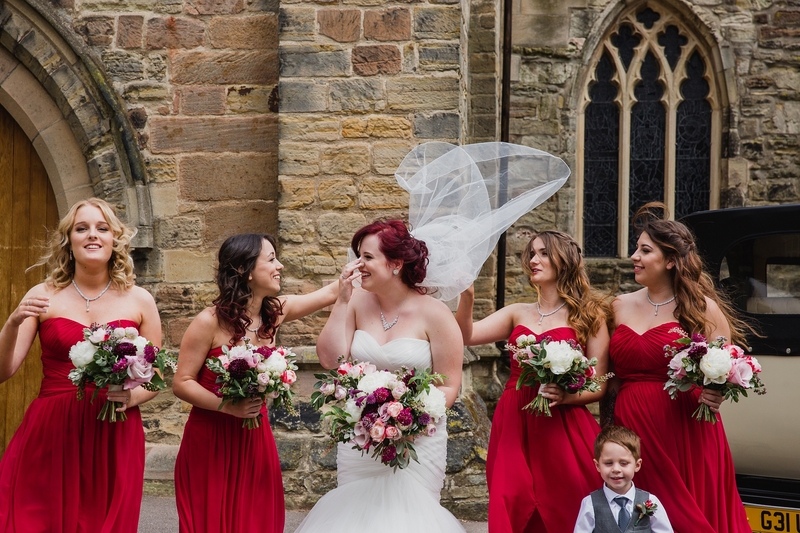 The details of the day were vibrant and fun, matching perfectly with this couples happy personalities and Heather’s vibrant red hair. 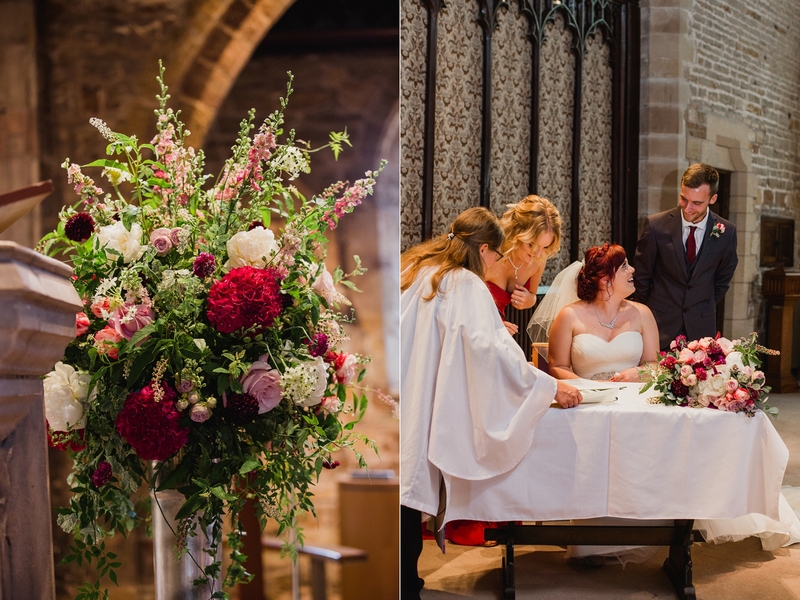 They chose the fantastic Floraldeco to create their wedding florals in rich reds mixed with soft pastels in rustic hand gathered shapes. 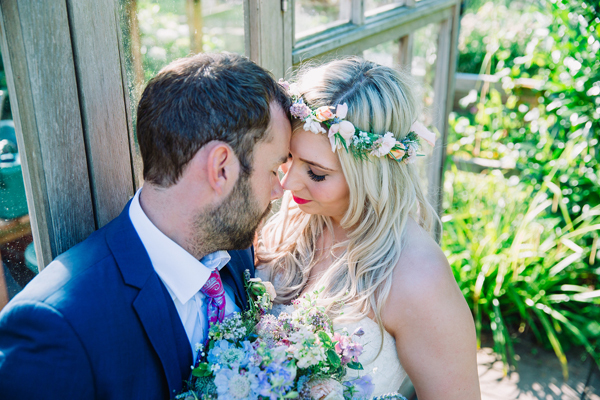 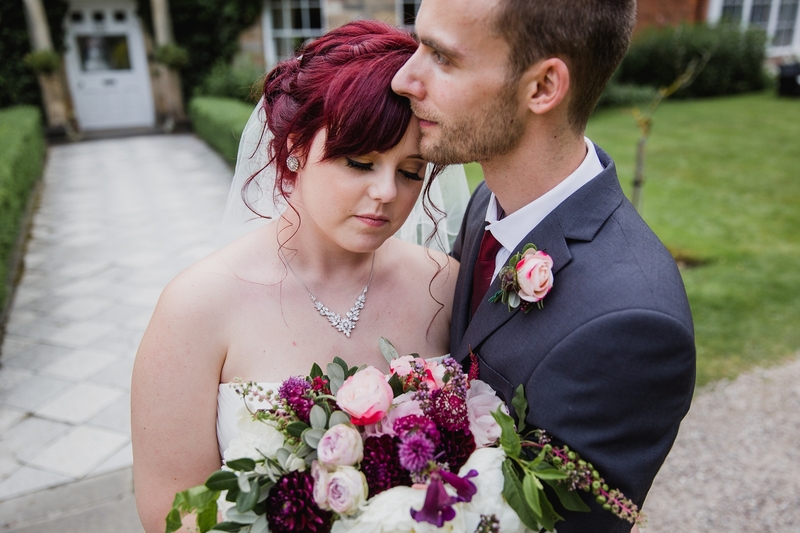 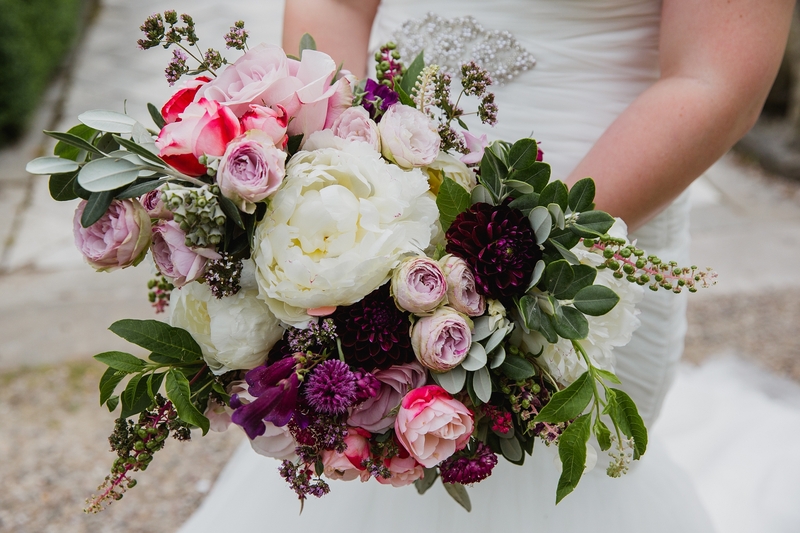 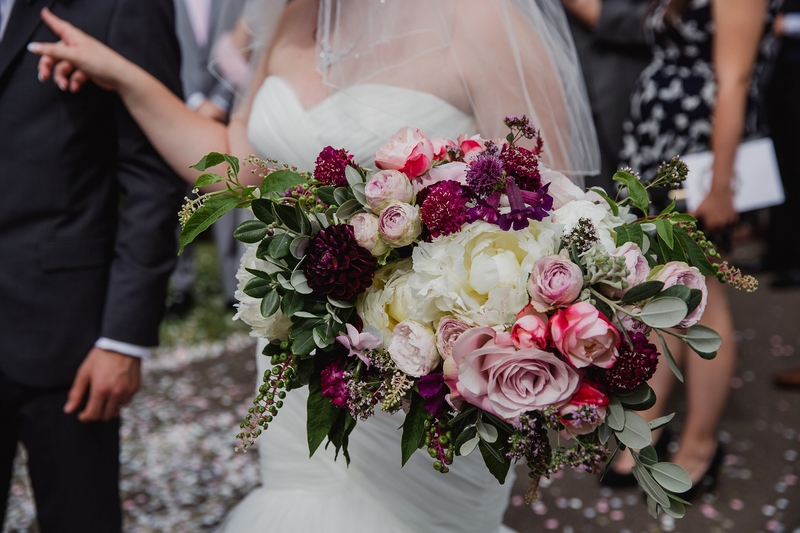 I loved Heather’s bouquet, the huge blowsy peonies surrounded by soft elegant roses. 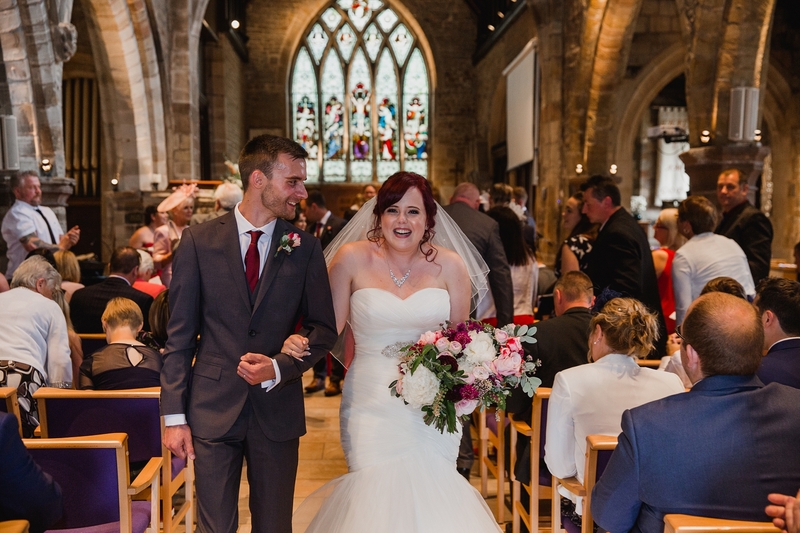 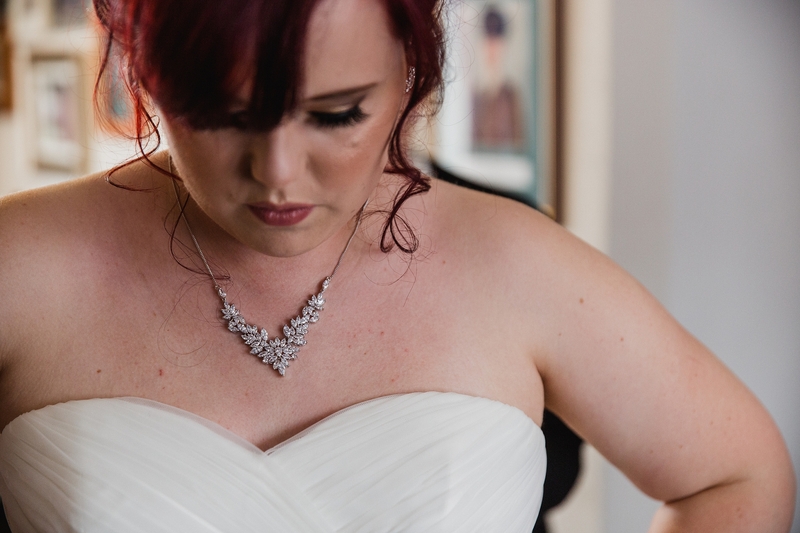 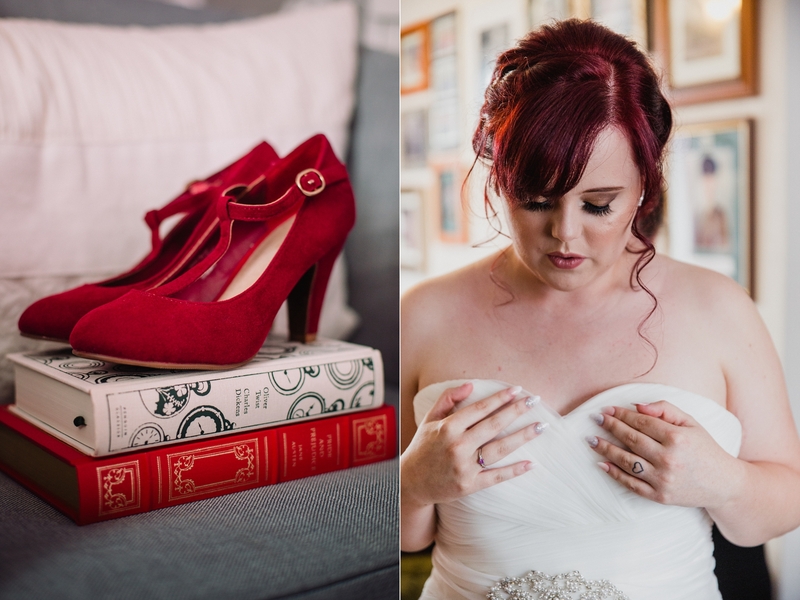 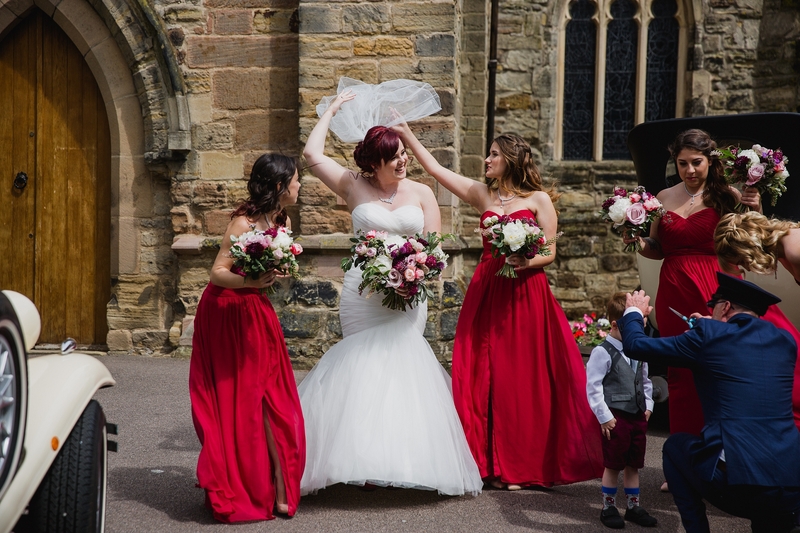 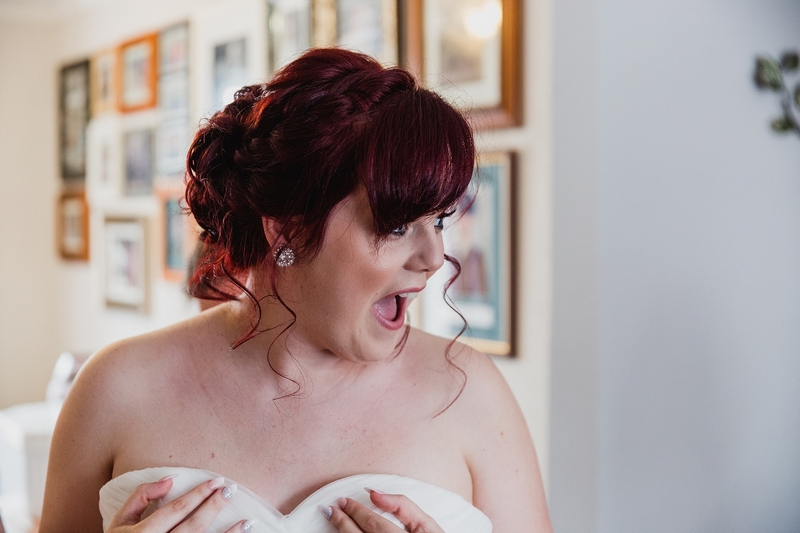 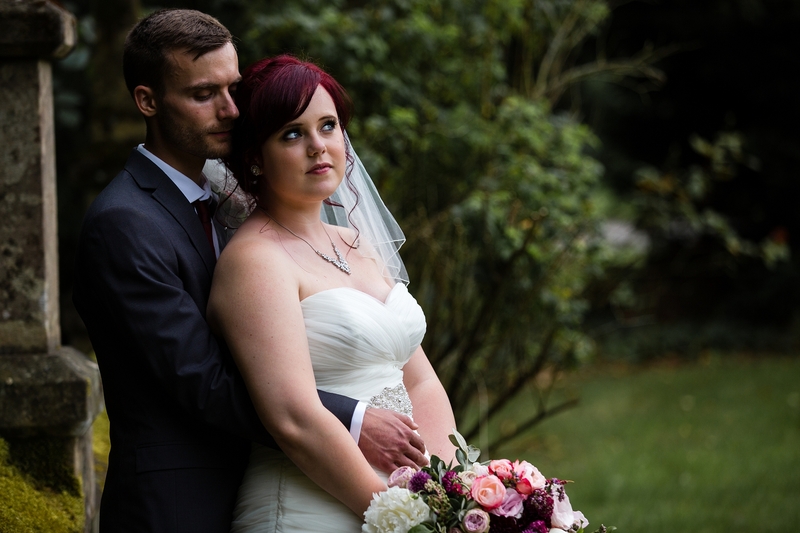 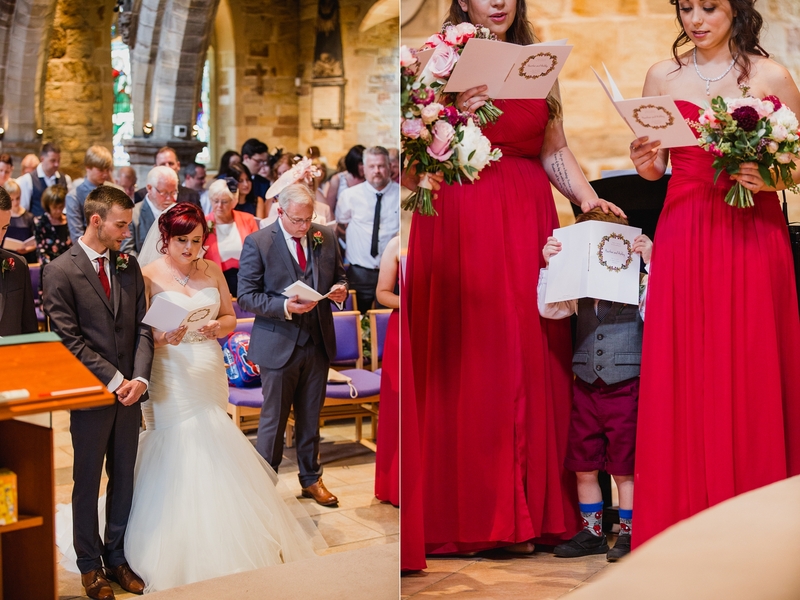 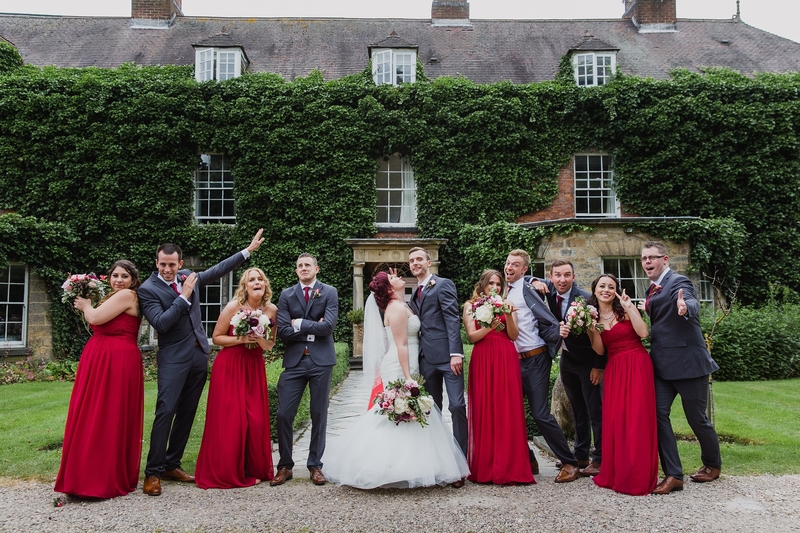 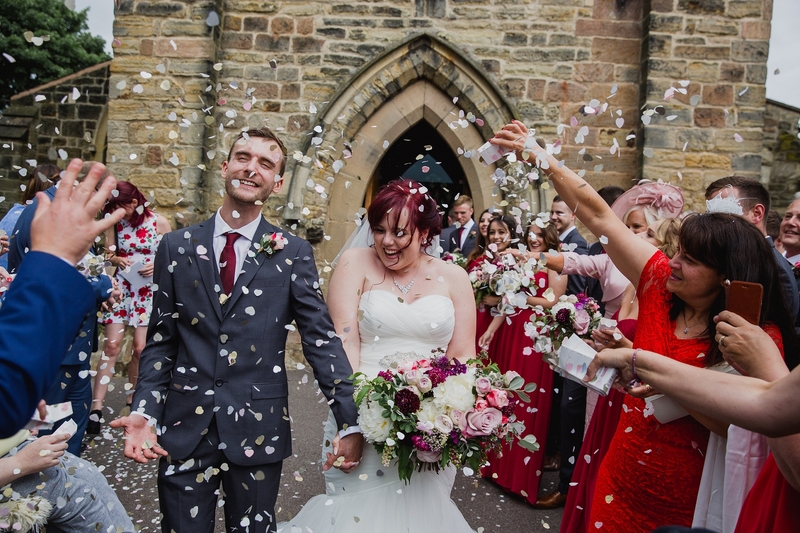 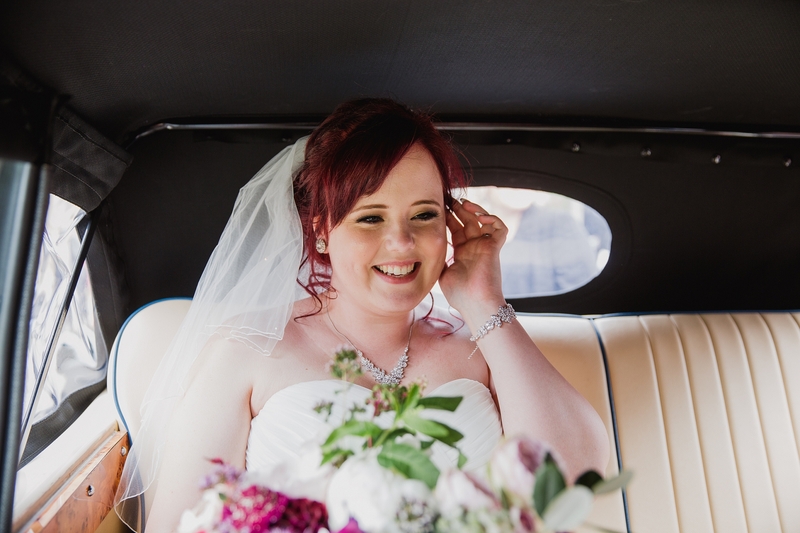 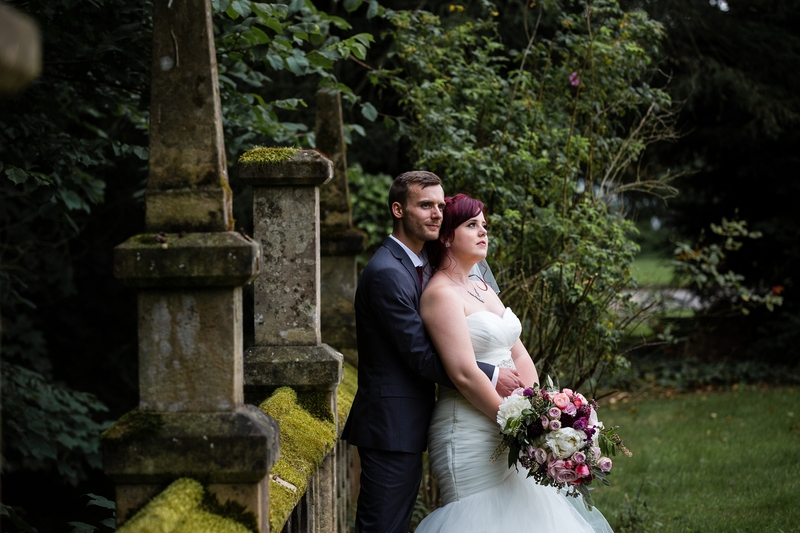 Heather wore a beautiful strapless fishtail gown and vintage inspired jewellery, and a pair of stunning red shoes that were a perfect match for her flame red hair. 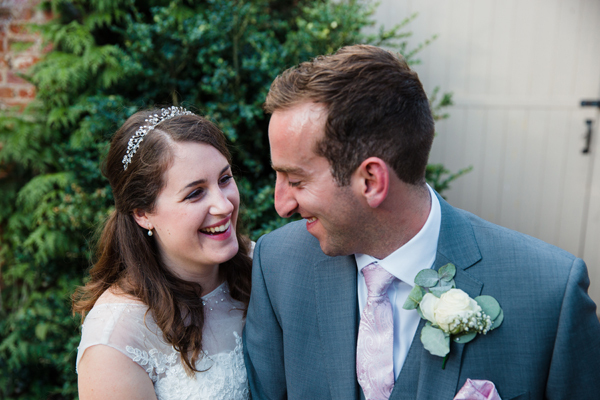 If you are looking for a wedding photographer in Nottingham or across the UK I’d love to hear from you.